There’s been a lovely mixture of warm days and some welcome rain over the past few weeks, and even some snow on the alps in February. I had a very distressing episode where I woke up at lunchtime after a stint of night duty, and decided to walk to Safeway to pick up some bones for the dogs. As I walked through the wetlands behind Safeway I looked up and saw a collared sparrowhawk in the perfect position for a fantastic photo, but alas, in my night duty haze I had forgotten my camera. Most distressing! I think the bird was a collared sparrowhawk as it had a long, square shaped tail. When I went back to the same wetlands a few days later I saw a Latham’s snipe, which was lovely. I think I had better go there more often but remember to take my camera. I had a wonderful day at Lake Murdeduke with Denis from the Bellarine Birdlife Group. We saw the ruff and had a close encounter with the buff-breasted sandpiper, but didn’t see the long-toed stint or the little curlew that had been seen there a few days previously. I went to Lake Modewarre a few days later to see if I could see a little curlew, but I didn’t see one migratory wader there at all. I did see a pair of wedge-tailed eagles, a little eagle, a few blue-winged parrots and some brown falcons so it was a lovely morning indeed. 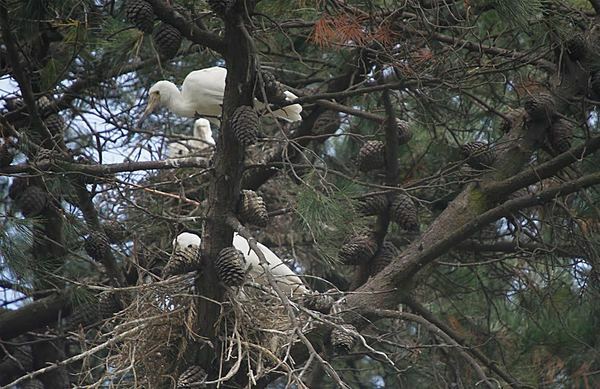 I saw a few yellow-billed spoonbills nesting somewhere on the Bellarine. The yellow-billed spoonbill is a large, white waterbird with a yellow face and yellow spoon-shaped bill. They also have yellow legs and feet. They place their nests in high forks of trees over water, where they build a platform of sticks, rushes and reeds. 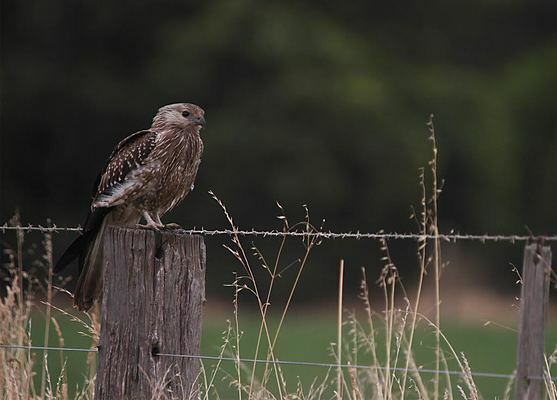 I had a drive down Coriyule Road in Curlewis one morning and saw a young whistling kite on a farm fence. I couldn’t help thinking about all the development in that area of the Bellarine, and I had better make the most of seeing some birds there now before Coriyule Road becomes a housing estate. I have to thank John and Rosemary from Ocean Grove who allowed me to see the pair of tawny frogmouths that roost in their backyard. There’s nothing better than observing these magnificent birds that co-exist with people quite readily. 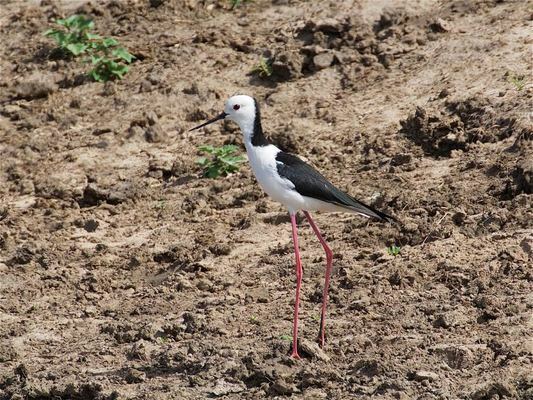 I also have to thank Kevin for sending me some of his images from Lake Murdeduke, which included this fantastic photo of a black-winged stilt. Thanks so much for the emails, they are much appreciated. By the way, if the two lovely ladies who told me about an immature nankeen night heron somewhere in Ocean Grove could contact me I would appreciate it, as I didn’t manage to see it! Thank you. If you are interested in some organised bird watching activities, you can check out the calendar of events run by the Bellarine Birdlife Group at http://birdlife.org.au/locations/birdlife-bellarine-peninsula. The three hooded plover chicks that hatched on Collendina Beach last week disappeared after one day of life. It was devastating for everyone who tries so hard to look after the hoodie families to lose all chicks so soon after hatching. Please keep an eye out for signs and keep dogs under control in areas on the beach where there are hooded plovers, thank you.